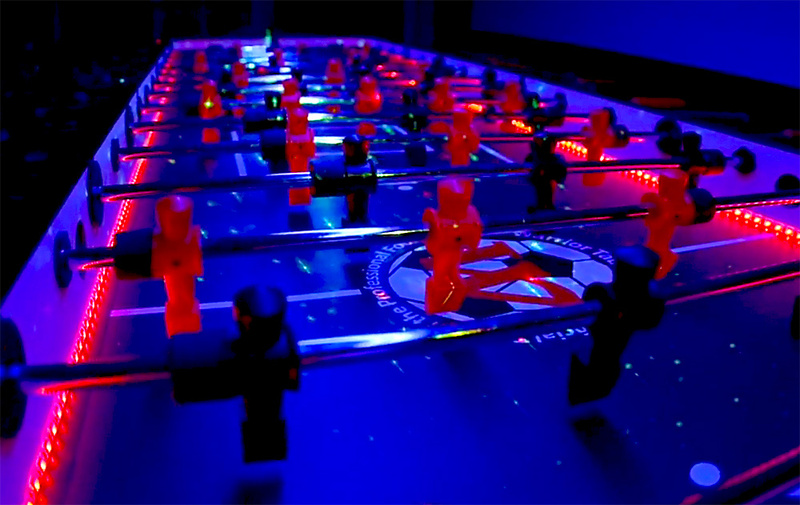 We are proud to introduce Jumbo/Giant LED Lighted Foosball Table for rent. 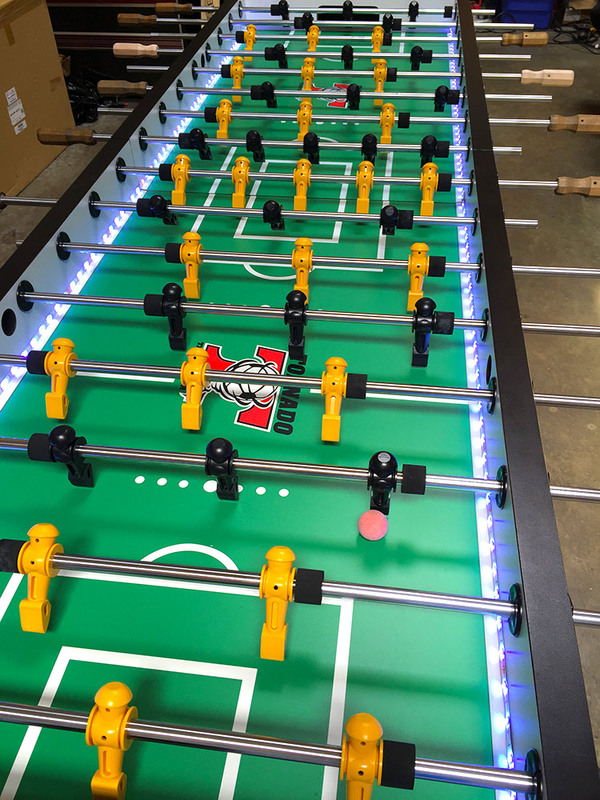 We have two foosball models available. 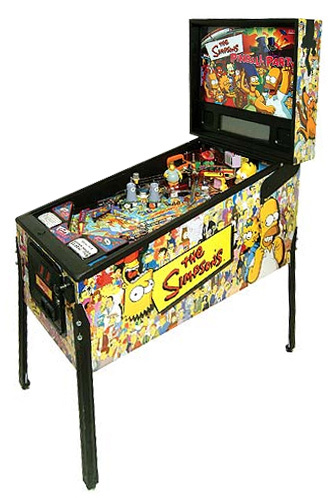 Original Garlando 8-player table made by legendary Italian manufacturer. 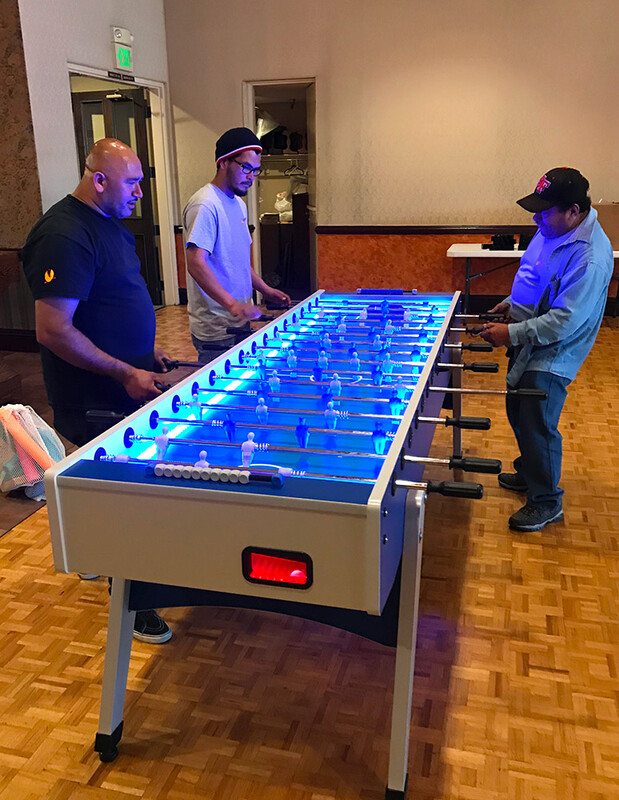 Garlando table are the most popular foosball tables in Europe. 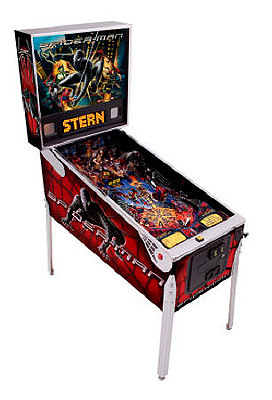 Our second model is 8-16 player Valley Tornado foosball table modified; a foosball on “steroids”. 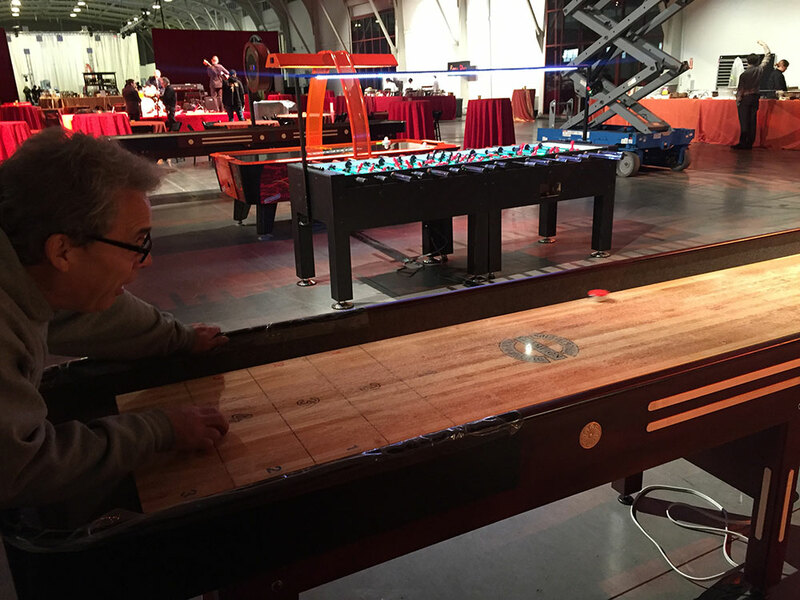 Your friends can compete at the same time on this oversized foosball table. 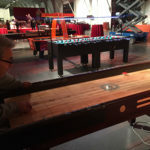 Jumbo/Giant LED Foosball Table for rent is a custom build commercial foosball table. It is great for team building and other competitive events. 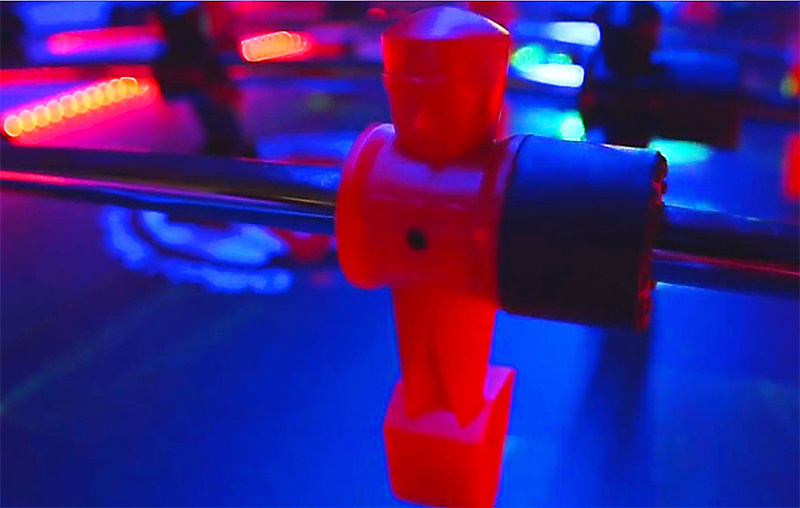 The table is setup with multi color LED lighting and the color can be changed easily during the event. 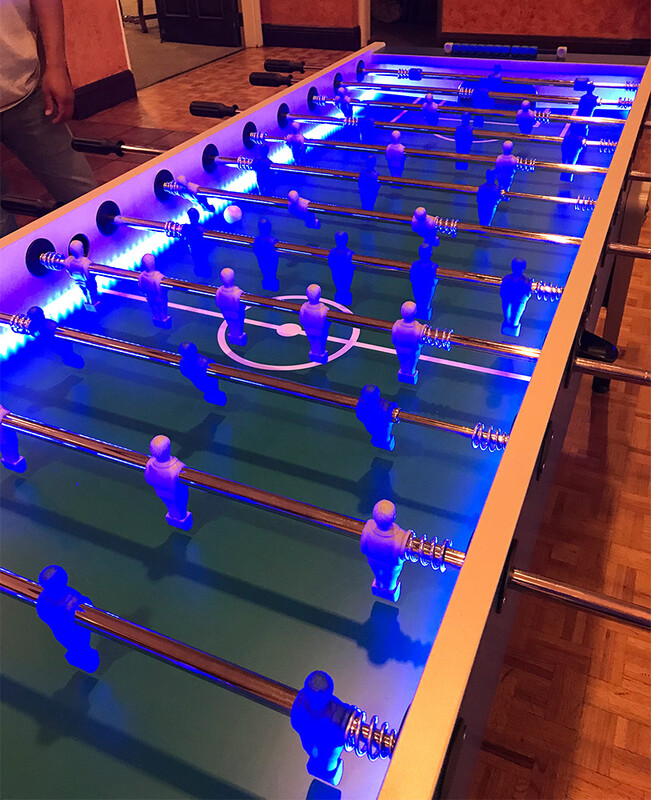 Jumbo/Giant LED Lighted Foosball Table for rent has also been furnished with several LED strings of light to make the foosball stand out. Four bright strings of LED lights has been attached on the perimeter of the playing field. This will create a an ambient atmosphere while playing the game. LED lights can be set up with any number of colors or display features. 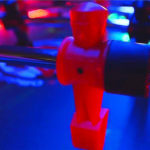 Such as flashing or steady single colors. 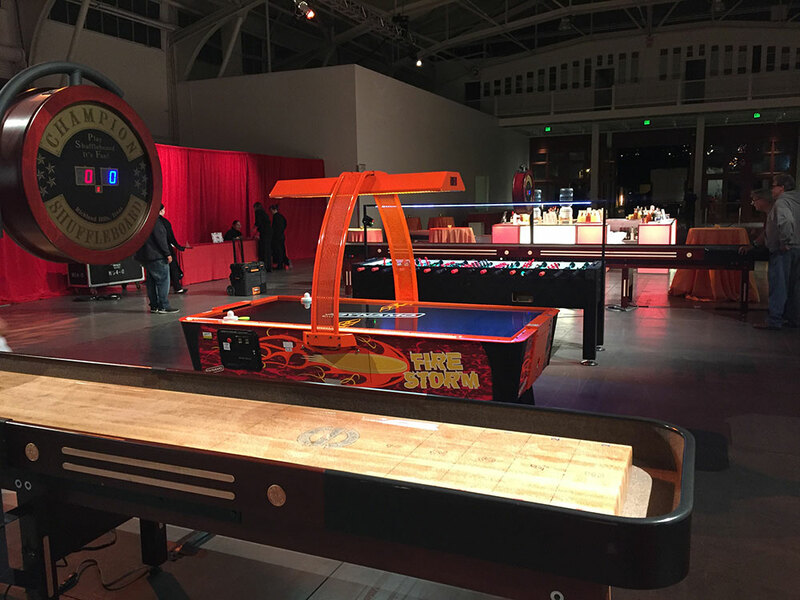 Jumbo/Giant LED Foosball Table rental is popular with all ages but it has been immensely popular with tech companies and high-energy events. 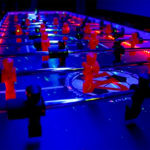 Our amazing Jumbo/Giant LED Lighted Foosball Table rents well with any adult or child glow party or special event. 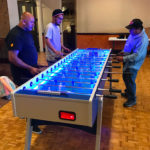 The Jumbo/Gint LED Foosball Table for rent is a beautiful and bright table and will be a focal point at your next event. 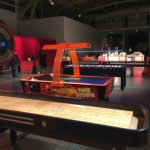 Video Amusement will deliver rented Jumbo/Giant LED Lighted Foosball Table Arcade Game Rentals in California San Francisco. San Jose, Santa Clara, Santa Cruz, Palo Alto, Monterey, Sacramento, Los Angeles. San Diego, Silicon Valley, East Bay, Central Coast and Bay Area cites as well Las Vegas Nevada. We have several units in stock and ready for your guests to enjoy. 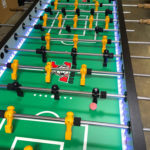 We can also customize rented Jumbo/Giant LED Lighted Foosball Table games with your company logo. Custom graphics will make your company stand out at any event or trade show.